An inauguration ceremony of Fidel Castro Park was held in Dong Ha City in the central province of Quang Tri on September 15. According to Chairman of the People’s Committee of Quang Tri province, Nguyen Duc Chinh the construction of the park aims to celebrate the 45th anniversary of Cuban leader Fidel Castro’s historical visit to the central province of Quang Tri -Vietnam in September 1973. 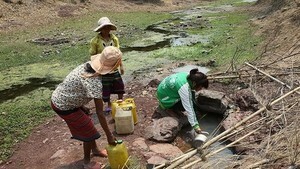 He became the first foreign leader to visit the newly-liberated area in Quang Tri. 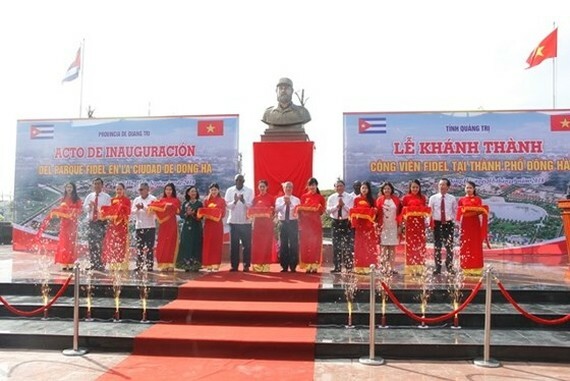 The provincial Mayor affirmed that the inauguration of the park will contribute to the relationship between Vietnam and Cuba as well as the development of Quang Tri province, particularly Dong Ha City. First Vice President of the Council of State and the Council of Ministers of Cuba Salvador Valdés Mesa expressed sincere thanks to the Vietnamese people and residents of Quang Tri province and believed in the sustainable solidarity between the two nations.